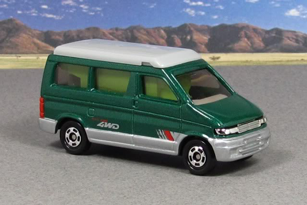 What is a Mazda Bongo? Other than the badge, there is no difference between a Mazda Bongo Friendee and a Ford Freda. (Mazda and Ford are the same company in Japan). 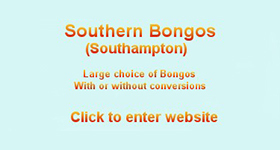 We will refer to them as Bongos here. Bongos were manufactured for the Japanese domestic market between 1995 and 2006. Those that are exported to the UK are classified as unofficial or “grey” imports. Over the years a strong support network for spares and insurance has developed. In Japan, they were sold as 8-seater weekend vehicles. 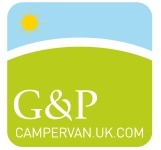 Once here in the UK many of them get converted in to campervans, with kitchen units etc. 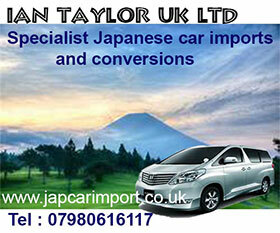 But many are still kept as 8 seater MPVs. Is it a toy? Or is it real? You have a choice of an elevating roof (“Auto Free Top”) or a flat-top. 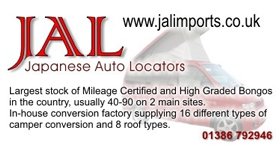 There are also factory fitted roofs made here in the UK. 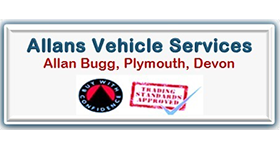 There are diesel Bongos (2 or 4 wheel drive), or 2 wheel drive petrol versions (2.5 litre V6 or 2 litre 4 cylinder). Front & rear air conditioning is standard on all vehicles. Most (but not all) have electrically operated internal blinds and external mirrors. There is an auto-close system on the sliding door. The engine is situated mid-vehicle, so neither the driver or passenger seats will swivel, although after-market swivel seats are available. 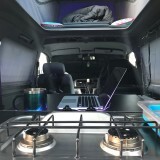 In a standard configuration, there is a 3-person bench seat in the middle of the van, and a further 3 person bench seat at the rear. This rear bench is either on a sliding rail, or will split in two and will swivel up to hook on to the side of the van. 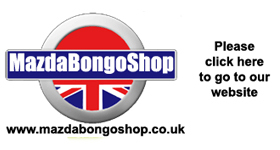 The online Bongoland Shop stocks most parts and accessories for your Bongo. 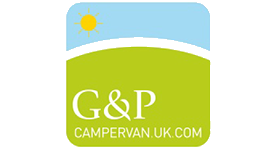 If you don’t want to order online, that’s fine, just give the office a ring on 0114-2550836. 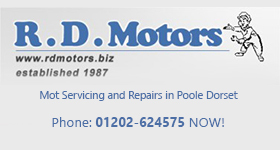 We are open 0930 to 1600 Monday to Thursday and on most Friday mornings from 0930 to 1300. 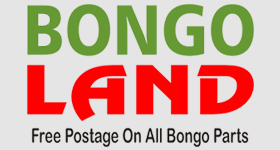 If you want to order stuff online then you will be asked to create a Bongoland Shop account. You should not use your log in details for the members area of the main website. Club members receive a 12.5% discount by using the current Coupon Code. 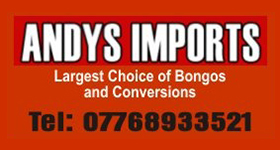 a “Bongo Fury” sticker for your van. When you join you will receive a new members pack in the post.